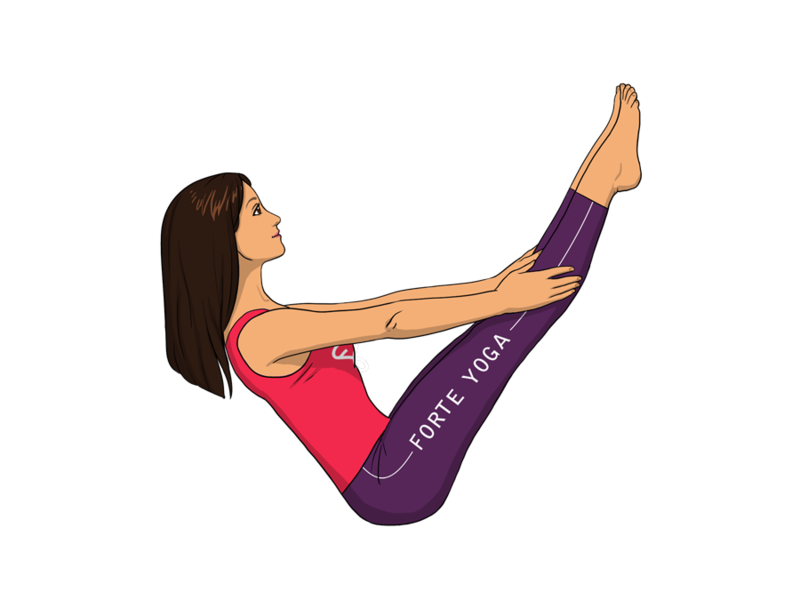 Full Seated Boat Yoga Pose is a seated pose that strengthens the abs and is ideal for yogis and yoginis at an intermediate level. 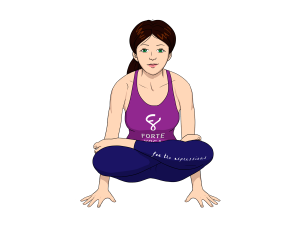 Sit in the Staff Pose (Dandasana), with your legs straight in front of you flat on the floor. 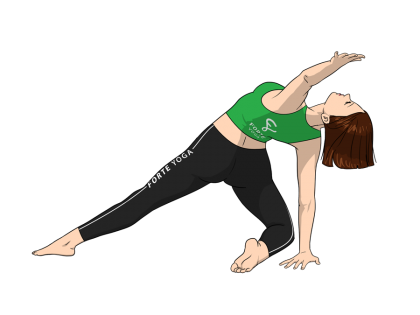 Put your hands on the floor behind your hips, with your fingers pointing forward. 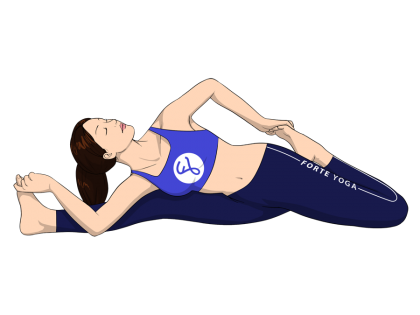 Lift your upper chest up towards the sky and lean slightly back — do not arch your back; keep your torso long and your back flat. Support yourself with your hands. 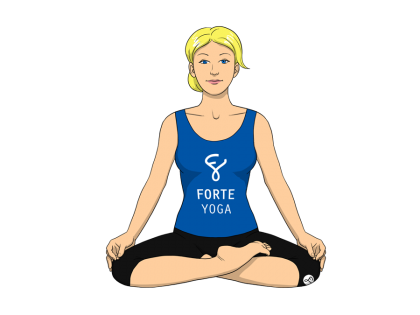 Bend your knees toward your torso, keeping your feet flat on the floor. Your knees should be level with your shoulders. Keep your legs pressed together or slightly apart and lift your lower legs until they are parallel with the ground. As you lift your lower legs, move your thighs towards your chest and your chest toward your thighs. 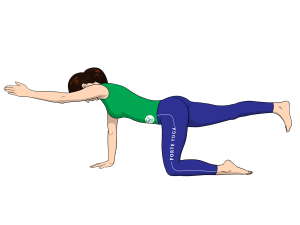 Reach your arms out towards your knees until they are parallel to the ground. 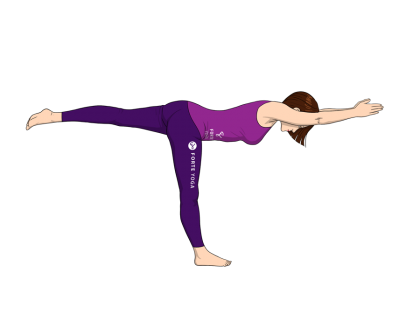 Balance on your tailbone and hips. 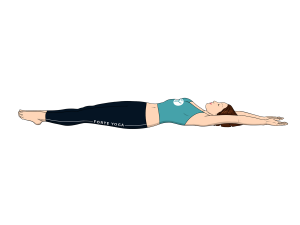 Slowly straighten your legs until your toes are just above your head. Lower your head slightly so your chin is closer to your chest. 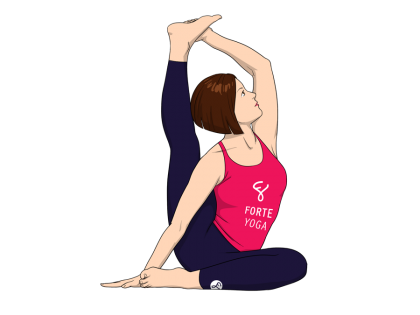 Beginners should maintain this pose for about ten seconds and over time work their way up to a minute. 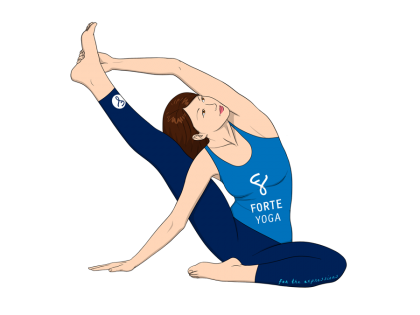 This pose takes a lot of strength and discipline, so don’t push yourself too hard right away. 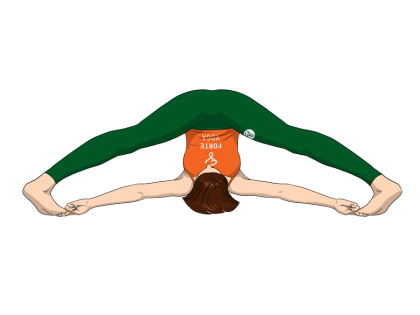 You can keep your hands down to hold you up, and you don’t need to straighten out your legs if it’s uncomfortable. 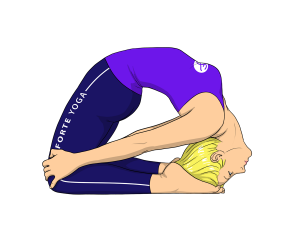 If you have a hip, tailbone or abdominal injury, consult an instructor or doctor before attempting this pose. If you have a neck injury, then do this pose close to a wall. When you lean your torso back rest your head against the wall. 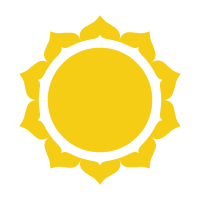 Can relieve stress, anxiety and depression.